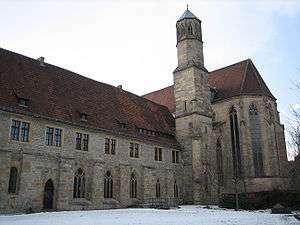 In late 1323 or early 1324 Eckhart left Strasbourg for the Dominican house at Cologne. It is not clear exactly what he did here, though part of his time may have been spent teaching at the prestigious Studium in the city. Eckhart also continued to preach, addressing his sermons during a time of disarray among the clergy and monastic orders, rapid growth of numerous pious lay groups, and the Inquisition's continuing concerns over heretical movements throughout Europe. It appears that some of the Dominican authorities already had concerns about Eckhart's teaching. The Dominican General Chapter held in Venice in the spring of 1325 had spoken out against "friars in Teutonia who say things in their sermons that can easily lead simple and uneducated people into error". This concern (or perhaps concerns held by the archbishop of Cologne, Henry of Virneburg) may have been why Nicholas of Strasbourg, to whom the pope had in 1325 given the temporary charge of the Dominican monasteries in Germany, conducted an investigation of Eckhart's orthodoxy. Nicholas presented a list of suspect passages from the Book of Consolation to Eckhart, who responded sometime between August 1325 and January 1326 with a lost treatise Requisitus, which satisfied his immediate superiors of his orthodoxy. Despite this assurance, however, the archbishop in 1326 ordered an inquisitorial process. At this point he issued a Vindicatory Document, providing chapter and verse of what he had been taught. Throughout the difficult months of late 1326 Eckhart had the full support of the local Dominican authorities, as evident in Nicholas of Strasbourg's three official protests against the actions of the inquisitors in January 1327. On 13 February 1327, before the archbishop's inquisitors pronounced their sentence on Eckhart, Eckhart preached a sermon in the Dominican church at Cologne, and then had his secretary read out a public protestation of his innocence. He stated in his protest that he had always detested everything wrong, and should anything of the kind be found in his writings, he now retracts. Eckhart himself translated the text into German, so that his audience, the vernacular public, could understand it. The verdict then seems to have gone against Eckhart. Eckhart denied competence and authority to the inquisitors and the archbishop, and appealed to the Pope against the verdict. He then in the spring of 1327 set off for Avignon. Interest in Eckhart's works was revived in the early nineteenth century, especially by German Romantics and Idealist philosophers. Franz von Baader, for instance, studied Eckhart in the early 19th century. Franz Pfeiffer's publication in 1857 of Eckhart's German sermons and treatises added greatly to this interest. A second important figure in the later nineteenth century for the recovery of Eckhart's works was Heinrich Seuse Denifle, who was the first to recover Eckhart's Latin works, from 1886 onwards. The critical edition of Eckhart's works accepts 86 sermons as genuine. Of these, Sermons 1–16b are proved authentic by direct citation in the Defense. Sermons 17–24 have such close textual affinities with Latin sermons recognised as genuine that they are accepted. Sermons 25–86 are harder to verify, and judgements have been made on the basis of style and content. The final vernacular treatise accepted as genuine by the critical edition is entitled Vom Abgescheidenheit (On Detachment). However, this treatise is generally today not thought to be written by Eckhart. Eckhart wrote on metaphysics and spiritual psychology, drawing extensively on mythic imagery, and was notable for his sermons communicating the metaphorical content of the gospels to laymen and clergy alike. His work has influenced major German philosophers. As Eckhart said in his trial defence, his sermons were meant to inspire in listeners the desire above all to do some good. In this, he frequently used unusual language or seemed to stray from the path of orthodoxy, which made him suspect to the Church during the tension-filled years of the Avignon Papacy. In Eckhart's vision, God is primarily fecund. Out of overabundance of love the fertile God gives birth to the Son, the Word in all of us. Clearly,[note 4] this is rooted in the Neoplatonic notion of "ebullience; boiling over" of the One that cannot hold back its abundance of Being. Eckhart had imagined the creation not as a "compulsory" overflowing (a metaphor based on a common hydrodynamic picture), but as the free act of will of the triune nature of Deity (refer Trinitarianism). Buddha, Eckhardt, and I all teach essentially the same. A major force in the mutual influence of eastern and western ideas and religiosity was the Theosophical Society, which also incorporated Eckhart in its notion of Theosophy. It searched for ancient wisdom in the east, spreading eastern religious ideas in the west. One of its salient features was the belief in "Masters of Wisdom"[note 6], "beings, human or once human, who have transcended the normal frontiers of knowledge, and who make their wisdom available to others". The Theosophical Society also spread western ideas in the east, aiding a modernisation of eastern traditions, and contributing to a growing nationalism in the Asian colonies. The Theosophical Society had a major influence on Hindu reform movements. [note 7] A major proponent of this "neo-Hinduism", also called "neo-Vedanta", was Vivekananda (1863–1902) who popularised his modernised interpretation of Advaita Vedanta in the 19th and early 20th century in both India and the west, emphasising anubhava ("personal experience") over scriptural authority. Vivekanda's teachings have been compared to Eckhart's teachings. In 1891, Karl Eugen Neumann, who translated large parts of the Tripitaka, found parallels between Eckhart and Buddhism, which he published in Zwei buddhistische Suttas und ein Traktat Meister Eckharts ("Two Buddhist Suttas and a treatise of Meister Eckhart"). D.T. Suzuki, who joined the Theosophical Society Adyar and was an active Theosophist, discerned parallels between Eckhart's teachings and Zen Buddhism in his Mysticism:Christian and Buddhist, drawing similarities between Eckhart's "pure nothingness" (ein bloss niht) and sunyata. Shizuteru Ueda, a third generation Kyoto School philosopher and scholar in medieval philosophy showed similarities between Eckhart's soteriology and Zen Buddhism in an article. On the question of "Emptiness" and Eckhart's view (claimed as parallel to Buddhist emphasis "on the emptiness of all 'composite things'") that only a perfectly released person, devoid of all, comprehends, "seizes", God, that the Buddhist "emptiness" seems to concern man's relation to things while Eckhart's concern is with what is "at the end of the road opened by detachment [which is] the mind espouses the very movement of the divine dehiscence; it does what the Godhead does: it lets all things be; not only must God also abandon all of his own—names and attributes if he is to reach into the ground of the mind (this is already a step beyond the recognition of the emptiness of all composite things), but God's essential being – releasement – becomes the being of a released man." ↑ Meister is German for "Master", referring to the academic title Magister in theologia that he obtained in Paris. ↑ His "Defence" is famous for his reasoned arguments to all challenged articles of his writing, and his refutation of heretical intent. ↑ No record of his death or burial site has ever been discovered. ↑ Aside from a rather striking metaphor of "fertility"
↑ The Theosophical Society and the Arya Samaj were united from 1878 to 1882, as the Theosophical Society of the Arya Samaj. ↑ Dusen: "[t]he counterpoint to this enormously exposed and public life is Eckhart and Jan van Ruysbroek. They really give me balance and-a more necessary sense of humor." Henry P van Dusen. Dag Hammarskjöld. A Biographical Interpretation of Markings. Faber and Faber. London 1967 pp.49–50. ↑ Bernard McGinn, The Mystical Thought of Meister Eckhart, (New York: Crossroad Publishing Company, 2001), p.2, points out that previous scholarship which had placed Eckhart's birth in Hochheim is incorrect: Hochheim is used in the sources to indicate Eckhart's family name, not his birthplace. ↑ Walter Senner, ‘Meister Eckhart’s Life, Training, Career, and Trial’ in Jeremiah Hackett (ed. ), A Companion to Meister Eckhart (Leiden: Brill, 2012), 7–84. ↑ Meister Eckhart, The Essential Sermons, Commentaries, Treatises and Defense, trans. and ed. by Bernard McGinn and Edmund Colledge, New York: Paulist Press, 1981, p.5. ↑ This supposition is founded on Eckhart’s frequent citation, with respect, of Albert the Great, who had taught at Cologne until his death in 1280, and more particularly, his statement in his 1294 Easter Sermon that "Albert often used to say: 'This I know, as we know things, for we all know very little. '"(Bernard McGinn, The Mystical Thought of Meister Eckhart, (New York: Crossroad Publishing Company, 2001), p.2). 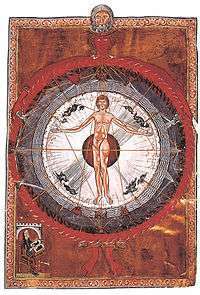 ↑ The evidence for Eckhart's studies in Cologne is similarly circumstantial as recounted in Meister Eckhart, The Essential Sermons, Commentaries, Treatises and Defense, trans. and ed. by Bernard McGinn and Edmund Colledge, New York: Paulist Press, 1981, p.7. ↑ The Parisian Questions were first discovered in 1927. They are translated with an introduction in Armand Maurer, ed., Master Eckhart: Parisian Questions and Prologues, (Toronto: Pontifical Institute of Medieval Studies, 1974). ↑ On the possible dating of the works written in this period, see McGinn, Eckhart, pp.5–9. ↑ cf. Urkundenbuch der Stadt Strassburg, iii. 236. 1 2 3 Meister Eckhart, The Essential Sermons, Commentaries, Treatises and Defense, trans. and ed. by Bernard McGinn and Edmund Colledge, New York: Paulist Press, 1981, p.10. 1 2 cf. 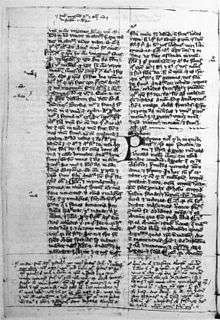 the document in Preger, i. 471; more accurately in ALKG, ii. 627 sqq. ↑ In the early twentieth century, the suspicion of Eckhart was often put down to tensions between Dominicans and Franciscans. This narrative, however, has been replaced by one which emphasises the broader context of fears concerning the Heresy of the Free Spirit. See Bernard McGinn, The Harvest of Mysticism, (2005), p.103. ↑ The general assumption in modern scholarship on Eckhart has been that the date of Eckhart's death is lost. McGinn, Eckhart, (2001), p.17, however, trusts the argument of Walter Senner that a seventeenth-century Dominican source noted that Eckhart was remembered in German convents on 28 January – suggesting this day in 1328 was the date of his death. Some early twentieth-century writers suggested Eckhart may have not in fact died, but continued his ministry in anonymity, but there is no single medieval source that supports this suspicion. ↑ The bull is given complete in ALKG, ii. 636–640). ↑ McGinn, Eckhart, (2001), p.18. ↑ As McGinn, Eckhart, p.1, points out, about three hundred manuscripts containing Eckhart's German sermons, both authentic and pseudonymous, survive. ↑ Meister Eckhart, The Essential Sermons, Commentaries, Treatises and Defense, trans. and ed. by Bernard McGinn and Edmund Colledge, New York: Paulist Press, 1981, p.19. ↑ Meister Eckhart, The Essential Sermons, Commentaries, Treatises and Defense, trans. and ed. by Bernard McGinn and Edmund Colledge, New York: Paulist Press, 1981, p.20. ↑ Hackett 2012, p. xxvii. ↑ Ffytche 2011, p. 33. ↑ Franz von Baader (1765–1841) was a German Roman Catholic philosopher and theologian. He studied under Abraham Gottlob Werner at Freiberg, travelled through several of the mining districts in north Germany, and for four years, 1792–1796, resided in England. There he became acquainted with the ideas of David Hume, David Hartley and William Godwin, which were all distasteful to him. But he also came into contact with the mystical speculations of Meister Eckhart, Louis Claude de Saint-Martin (1743–1803), and above all those of Jakob Boehme, which were more to his liking. In 1796 he returned from England, and came into contact with Friedrich Schelling, and the works he published during this period were manifestly influenced by that philosopher. ↑ Mention could also be made of Franz Jostes, Meister Eckhart und seine Junger, ungedruckte Texte zur Geschichte der deutschen Mystik (Collectanea Friburgensia, iv., Freiburg, 1895). ↑ Meister Eckhart, The Essential Sermons, Commentaries, Treatises and Defense, trans. and ed. by Bernard McGinn and Edmund Colledge, New York: Paulist Press, 1981, p.62. ↑ Meister Eckhart, The Essential Sermons, Commentaries, Treatises and Defense, trans. and ed. by Bernard McGinn and Edmund Colledge, New York: Paulist Press, 1981, p.63. ↑ Meister Eckhart, The Essential Sermons, Commentaries, Treatises and Defense, trans. and ed. by Bernard McGinn and Edmund Colledge, New York: Paulist Press, 1981, p.64. ↑ Meister Eckhart: Die deutschen und lateinischen Werke. Herausgegeben im Auftrage der Deutschen Forschungsgemeinschaft. Stuttgart and Berlin: Verlag W. Kohlhammer, 11 Vols., 1936–. The Latin works comprise 6 volumes (widely referred to as LW1–6), while the German works comprise 5 volumes (widely referred to as DW1–5). ↑ Meister Eckhart, The Essential Sermons, Commentaries, Treatises and Defense, trans. and ed. by Bernard McGinn and Edmund Colledge, New York: Paulist Press, 1981, p.64. This Prologue exists in two manuscripts discovered by Denifle – one discovered in Erfurt in 1880, and the other in Kues in 1886. ↑ Meister Eckhart, The Essential Sermons, Commentaries, Treatises and Defense, trans. and ed. by Bernard McGinn and Edmund Colledge, New York: Paulist Press, 1981, p.65. ↑ Bernard McGinn, The Harvest of Mysticism, (2005), p.98. ↑ LW 1:27–83. The English translation is Armand Maurer, ed., Master Eckhart: Parisian Questions and Prologues, Toronto, Canada: Pontifical Institute of Medieval Studies, 1974. ↑ LW 1:148–165. An English translation is in Armand Maurer, ed., Master Eckhart: Parisian Questions and Prologues, Toronto, Canada: Pontifical Institute of Medieval Studies, 1974, pp.77–104. ↑ LW 1:185–444. The Prologue and the commentary on Genesis 3 are translated into English in Meister Eckhart, The Essential Sermons, Commentaries, Treatises and Defense, trans. and ed. by Bernard McGinn and Edmund Colledge, New York: Paulist Press, 1981, pp.82–121. ↑ LW 2:1–227. This is translated into English in its entirety in Meister Eckhart: Teacher and Preacher, trans. and ed. by Bernard McGinn and Frank Tobin, New York and London: Paulist Press/SPCK, 1987, pp.41–146. ↑ LW 2:29–300. The commentary on Ecclesiasticus 24.29 is translated into English in Meister Eckhart: Teacher and Preacher, trans. and ed. by Bernard McGinn and Frank Tobin, New York and London: Paulist Press/SPCK, 1987, pp.174–181. ↑ LW 3. The commentary on John 1:1–14 is translated into English in Meister Eckhart, The Essential Sermons, Commentaries, Treatises and Defense, trans. and ed. by Bernard McGinn and Edmund Colledge, New York: Paulist Press, 1981, pp.122–173. The commentary on John 14.8 is translated into English in Meister Eckhart: Teacher and Preacher, trans. and ed. by Bernard McGinn and Frank Tobin, New York and London: Paulist Press/SPCK, 1987, pp.182–205. ↑ Markus, Professor (2011-04-22). "LW4. An extensive list of English translations of the sermons". Markusvinzent.blogspot.co.uk. Retrieved 2014-02-21. ↑ Around half of the 64 sermons in the Paradisus were by Eckhart, with the majority contributed by Dominicans. On the origin and purpose of the Paradisus (with dates around 1330–40 generally suggested), see Bernard McGinn, The Harvest of Mysticism, (2005), p.321–2 (which reverses some of the arguments of McGinn (2001). ↑ Selections are translated into English in Meister Eckhart, The Essential Sermons, Commentaries, Treatises and Defense, trans. and ed. by Bernard McGinn and Edmund Colledge, New York: Paulist Press, 1981, pp.71–76. ↑ Meister Eckhart, The Essential Sermons, Commentaries, Treatises and Defense, trans. and ed. by Bernard McGinn and Edmund Colledge, New York: Paulist Press, 1981, p.66. ↑ Markus, Professor (2011-04-22). "An extensive list of English translations of the sermons". Markusvinzent.blogspot.co.uk. Retrieved 2014-02-21. ↑ Bernard McGinn, The Harvest of Mysticism, (2005), p.95. ↑ DW 5:400–434. All four vernacular treatises are translated into English in Meister Eckhart, The Essential Sermons, Commentaries, Treatises and Defense, trans. and ed. by Bernard McGinn and Edmund Colledge, New York: Paulist Press, 1981. ↑ Bernard McGinn, The Harvest of Mysticism, (2005), p.632. 1 2 3 4 King 2002. 1 2 King 2002, p. 125. ↑ Partridge 2006, p. 3, note 2. 1 2 Michaelson 2009, p. 79-81. 1 2 Rambachan 1994, p. 1. ↑ Ganapathy 2003, p. 247. ↑ King 2002, p. 125-128. ↑ King 2002, p. 126. ↑ Moran 2012, p. 672. 1 2 3 Schurmann 2001, p. 217. ↑ King 2002, p. 156. ↑ Schurmann 2001, p. 218. ↑ Schurmann 2001, p. 219. ↑ Salinger, J.D (1955). Franny and Zooey. Boston: Little Brown and Company. pp. 59–60. ISBN 0-316-76949-5. ↑ Hackett 2012, p. xxii. 1 2 3 4 5 Hackett 2012, p. xxiii. ↑ Hackett 2012, p. xxiv. 1 2 Royce, Josiah (1898). "Meister Eckhart". Studies of good and evil : a series of essays upon problems of philosophy and life. New York: D. Appleton. pp. 261–297. OCLC 271174795. 1 2 "Meister Eckhart rehabilitated by the Pope". Academici.com. Retrieved 2014-02-21. Thomas Kaepelli, O.P., "Kurze Mitteilungen über mittelalterliche Dominikanerschriftsteller", Archivum Fratrum Praedicatorum 10, (1940), pp. 293 – 94. Thomas Kaepelli, O.P., Scriptores ordinis Praedicatorum medii aevi. Vol. I (A-F). Rome, 1970. Gabriel Théry, O.P., "Édition critique des piéces relatives au procés d'Eckhart continues dans le manuscrit 33b de la Bibliothèque de Soest", Archives d'histoire littéraire et doctrinal du moyen âge, 1 (1926), pp. 129 – 268. Matthew Fox, O.P., ed., Breakthrough: Meister Eckhart's Creation Spirituality in New Translation, Garden City, New York: Doubleday, 1980. Mojsisch, B.; Summerell, O.F. 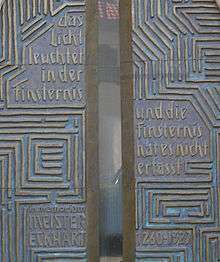 "Meister Eckhart". Stanford Encyclopedia of Philosophy.